you did good lynn!!! i think it's a cute card! and i guess i never noticed that you didn't do cards. lol! just think of it as a smaller version of a layout! Lynn your card is gorgeous!! I'm the exact opposite. I think scrapping is such a challenge and I find it hard to work with all that extra space. 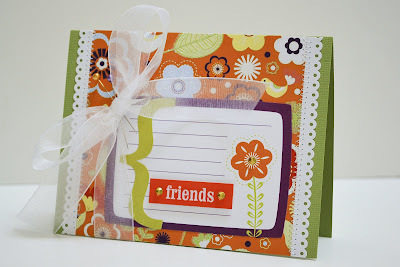 Okay, i've been cardmaking for years and mine never look that good! I'm catching up on my favorite blogs...hence the post late. First of all, I hope everything is fine my lovely friend. Second, I think the card is awesome....what a waste that you didn't decide sooner, lol. Love ya!